The roots of Father and mother is in Atika Kadisha. They are united as one but they do not receive directly from Atika but from Mazala that is just below Atika, the supernal and concealed Chokmah. (see previous studies of Ha’azinu, Idra Zuta) . Father is closer than mother to the concealed root because he’s a male and the channel of the light that mother receives. This light comes from Mazala and allow them to build the ‘house’ that is the ‘children’, Zeir Anpin and Malchut. In Rabbi Shimon presence were his son rabbi Elazar and the students, rabbi Aba, Rabbi Yehuda, Rabbi Yosei, Rabbi Chiya and Rabbi Yitzchak. They were a group of ten but three of the students, Rabbi Yossi bar Yaakov, Rabbi Chizkiya and Rabbi Yesa passed away during the elevated study of the Idra Rabba. Rabbi Shimon tells them that during the study of the Idra Rabba he didn’t reveal the secrets related to the level of Chokmah because he wanted to keep these revelations concealed and share them in the upper world after his passing. The studies and knowledge of Torah are considered as treasures in the upper world. It’s the only thing we can carry with us to the next world. The word ‘אידרא’,’Idra’ means ‘gathering’. Idra Rabba means the greater gathering, which refers to the gathering of Rabbi Shimon group of ten. In the Idra Rabba each of the members contributed to the studies of the supernal ‘Partzufim’, ‘faces’ of the world of Atzilut. The study of the upper worlds elevates the soul to same level studied. 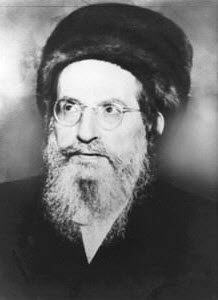 The three Rabbis the left the world during the study of the Idra Rabba were elevated so high that their soul left their body. In the current low spiritual level of the world it’s almost impossible to achieve such high level and let the soul leave the body to the higher levels in heavens. With Kabbalah and Zohar studies we build bridges to the higher spiritual levels and our souls earn merits for greater place in heavens and next lives. In the Idra Zuta Rabbi Shimon revealed so great secrets that brought Rabbi Pinchas ben Yair, his father in law, and Rav Hamnuna Saba down to his place and listen to the study. When he finished the study of the Idra Zuta, 70 great souls opened the channel for his soul to ascend to heavens.